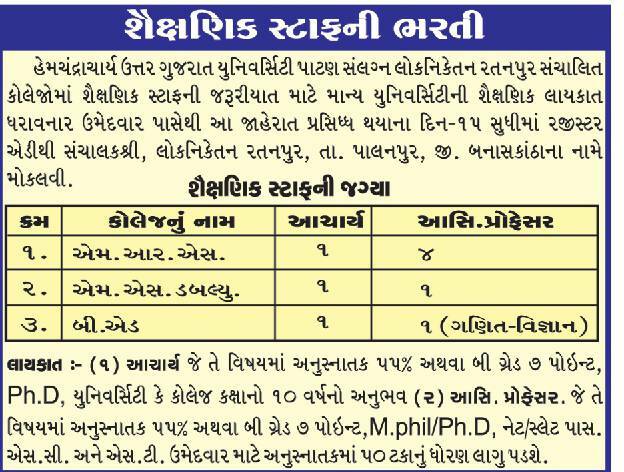 Post Graduate in any field with 55% or B Grade with 7 point, M.Phil/Ph.D., Net/Slet pass. How to Apply: Interested candidates can apply & send your applicaiton along with all relevant certificates to given below address. Send your application to given address: The Admin, Lok Niketan Ratanpur, Ta. 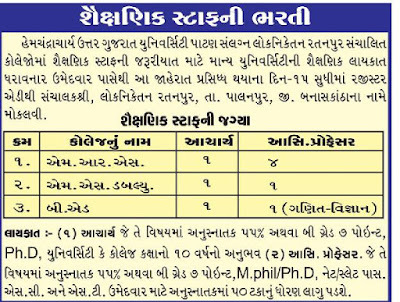 Palanpur, Di. Banaskantha.